What is TST all about? DETAILS: What are Small Group Coaching Sessions? What SESSIONS are available this term? LOCATION; Where Sessions are Held? What is the Tevez Drill? How is the Tevez drill set up? The Tevez Drill – Take the challenge !!! TST becomes an essential developmental ingredient for all players. Operating since 2006. We started with 2 players a week. Now we work with over 150 players a week (over a number of locations and sessions). This growth is demand driven, mostly through word of mouth. We don't sensationalize what we do, we just get our heads down and work hard at developing technical and intelligent football players. 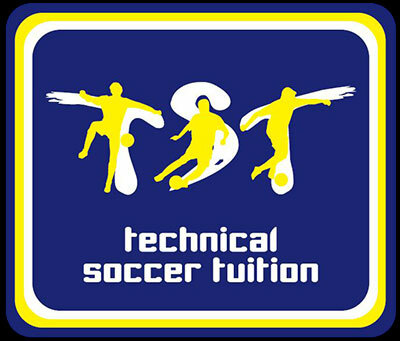 If you want your child to have a level of confidence and creativity on the ball [without all the useless extravagance that is commonly found 'online' or in other 'skill' based programs] then TST has a proven track record of developing players (see the achievements page) with exceptional individual ability and intelligence. For a complete look at what TST is about click here. So that playing in tight spaces is not a problem. WHAT'S GOING ON AT TST? Check out what Small Group Spaces are available this term. At the end of term 1 2018, the program was above capacity. Every group was full and there were no spaces for new players and we were having to turn players away. So in term 2 2018 we added an extra 2 sessions and split all the groups in half. As a result all small groups have spaces for a couple of new players. But this wont last long. So if you are keen to give TST ago and want to take advantage of the current introductory deal then please get in touch. Note, groups are based on age, ability and attitude with lost of scope to move players around until they find the right group for them. still believe they can play professionally (or semi professionally) in the future and are desperate to get to the level where they can have an impact here in Melbourne at NPL level and higher, or trial in Europe. want to work towards trialing with pro clubs in Europe.